Cheap Car Insurance Ottawa, Compare Lowest Quotes & Save! Getting Cheap Ottawa Car Insurance Quotes Is Easy! Shopping for car insurance in Ottawa? Want to get the cheapest car insurance? Comparing car insurance quotes in Ottawa is the best way to save. 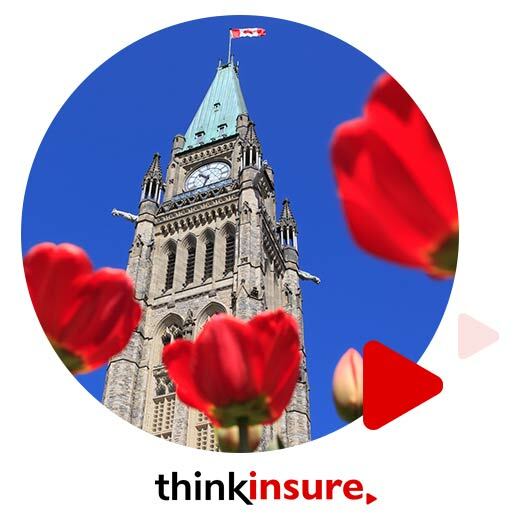 ThinkInsure has been proudly providing the best car insurance coverage and the cheapest quotes in Ottawa for over 45 years. Discover and why more and more Ottawa drivers choose ThinkInsure to for their auto insurance. 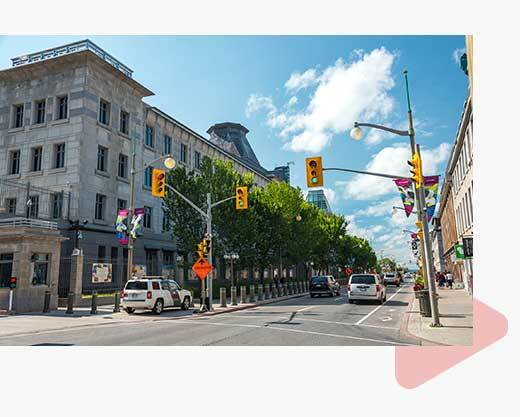 Why Choose ThinkInsure For Auto Insurance In Ottawa? All Ottawa drivers want to save money. Who doesn't? This is why it makes perfect sense to shop around before making a major purchase decision. Car insurance is no exception. If you are a driver in Ottawa, it’s important to take every opportunity to compare car insurance quotes to get the cheapest rates. We can save you money. Choose the cheapest auto insurance quotes and get real savings on your car insurance. Our average customer saves over $500 each year. Choose ThinkInsure and be the next one of our customers to save! You get lots of choice for car insurance. You'll have access to cheap car insurance coverage in Ontario. Who doesn’t want that, right? You will be able to quickly compare car insurance quotes from 40+ insurance companies and choose the cheapest option for your needs. We want and value your business. Customer service and satisfaction is a top priority for us. You are our top priority, and our experienced team of insurance brokers will work hard to take care of all your auto insurance needs in a professional and timely manner. We will do what it takes to win and keep your business! Getting the best car insurance coverage is easy! Our team of licensed brokers makes all aspects of car insurance easy for our Ottawa customers. No matter what your insurance needs, you can count on us to be there for you. ThinkInsure got me really good rate on insurance for my SUV. My personal broker Rich is very knowledgeable and is always available when I need him. The customer service at ThinkInsure is so much better than at my last insurance company. Your lowest quote for auto insurance starts here. Bundle your car + home insurance together and save 20% more! Compare quotes online OR call toll-free 1-855-550-5515 and start saving! Ottawa is Canada’s capital city. 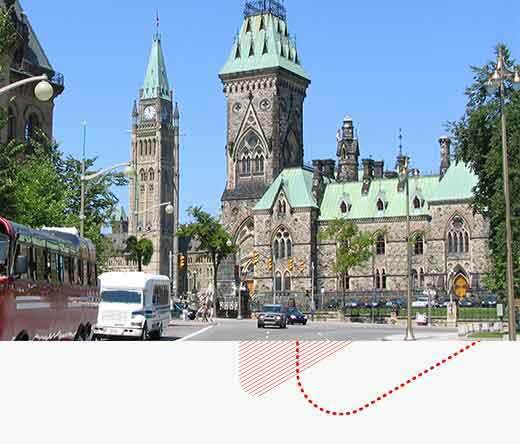 The home of Parliament Hill has more than 920,000 residents and more than half a million licensed drivers. 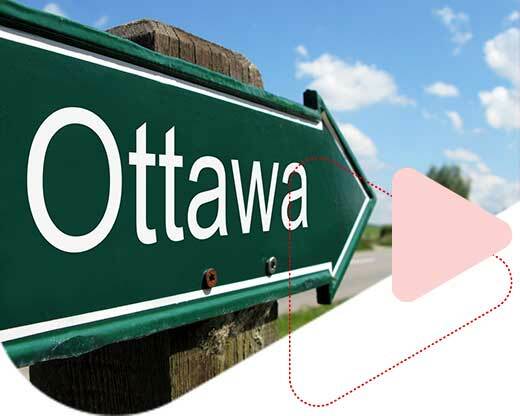 This bilingual city is located on the banks of the Ottawa River in the Eastern part of Ontario and its roads are bustling with commuters and travellers. The city is known for traffic congestion along its major streets and highways. Millions of tourists visit the city annually. The blend of commuters and visitors often creates traffic issues along Highway 401, Highway 416, Highway 417, and the cities parkways - Colonel By Drive, Queen Elizabeth Driveway, the Sir John A. Macdonald Parkway, Rockcliffe Parkway and Aviation Parkway. Set on a large portion of land, long commutes are the norm, especially during the cold and snowy winter months. Therefore, drivers need car insurance in Ottawa that will protect them against all threats and risks. Even though Ottawa drivers may not have the highest premiums in Ontario, there are still a variety of cost saving opportunities. At ThinkInsure, we can help you get the cheapest car insurance rates in Ottawa. When are the best times to shop for car insurance in Ottawa to get the cheapest rates? 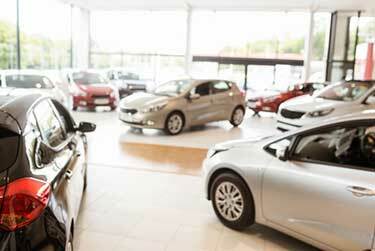 Changing vehicles : If your purchasing a new vehicle. Policy renewal : Your insurance policy is up for renewal. Updated info : When you need to update your personal information. Policy change : You make a change to your policy (add a driver, car, more coverage). Talk with your ThinkInsure auto insurance expert each time these moments occur to ensure you are taking advantage of cheap car insurance in Ottawa. When you choose ThinkInsure, you’ll see how we’ve made comparing competitive, cheap car insurance quotes quick and easy. 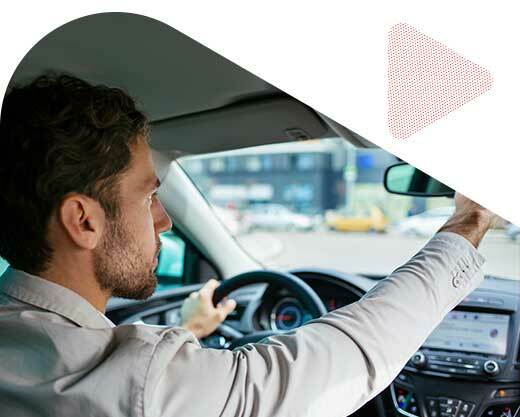 One of the main reasons why drivers in Ottawa use ThinkInsure to get the lowest car insurance rates is because we can help all drivers – not just drivers with great driving records. If you are a young driver, a senior, or even if you’ve had a few driving convictions in the past and are considered a high risk driver, we will help find you the proper coverage at the cheapest rates, given your current situation. To ensure you get the auto insurance coverage you need, we are partners with many different types of companies who specialize in car insurance for all different types of drivers. If you are having car insurance challenges, call 1-855-550-5515 and one of licensed insurance professionals will be happy to help you. What Is The Average Car Insurance Ottawa Cost? The costs for car insurance in Ottawa are lower than other larger cities in the province. Many drivers with clean driving records pay less than the provincial average of $1500. Some pay between $900 and $1100 annually for auto insurance coverage. The best way to determine your car insurance costs in Ottawa is to compare quotes. Contact our insurance experts today to assess your insurance needs and get an Ottawa car insurance quote. What Factors Affect Ottawa Car Insurance Costs? How Can I Get The Lowest Rate For Auto Insurance In Ottawa? Comparing car insurance with us is simple! All you need to do is enter some basic information about you and your car online. Then we'll find and present multiple auto insurance quotes for you to compare. Then make your choice from the cheapest car insurance rates in Ottawa. Alternatively, call 1-855-550-5515 and one of our licensed insurance experts will be happy to find the lowest quotes for you. 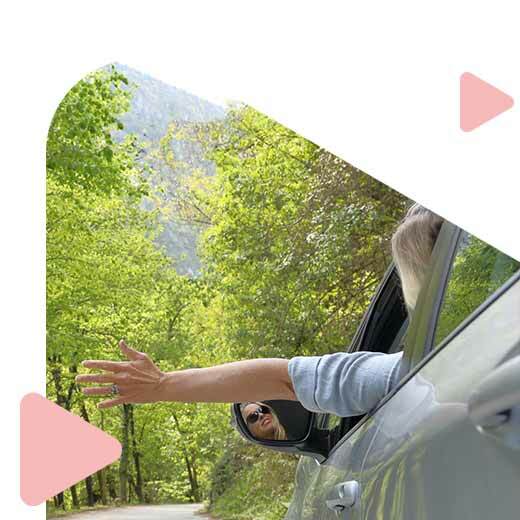 We all need car insurance, so why not make sure your car insurance quote is at the cheapest rate and provides you the coverage you need to drive with confidence? We can help you with that. Call or click now for a quote. At ThinkInsure, we understand that in order to bring you the cheapest rates, you need options. This is why we’ve partnered with more than 40 of the top insurance companies in Canada. See our complete list of our partner car insurance companies. Get an Ottawa car insurance estimate anytime! Click below to save on your car insurance. Our team of licensed insurance professionals are car insurance experts, and we'll go the extra mile to satisfy your needs. Since ThinkInsure is an independently owned, we can get you a number of unbiased quotes from over 40 different insurance companies we work with. This ensures that you get the best insurance advice and the best insurance coverage for your needs at the best price. Getting the best coverage and rates is only part of what we do to make sure our customers’ car insurance needs get taken care of. We make sure you get a dedicated personal service team member that is responsible for addressing all your insurance needs in a friendly and timely manner. This means you only need to contact one person for all your insurance needs. Whether you have a simple question about your insurance policy, you need to update your information, you want to explore insurance discounts, or if you need to file an insurance claim, we are here for you! With more than 1.3 million residents in the metropolitan area, and with millions of tourists visiting the city each year, Canada’s capital definitely requires that drivers have a good car insurance policy. Known for its great communities, large highways, and traffic congestion, the city is actually one of the safest to drive in all of Canada. In fact, fatalities and injuries as a result of accidents have dropped by more than 50% over the past 3 decades, even with an increase in the number of drivers in the region. 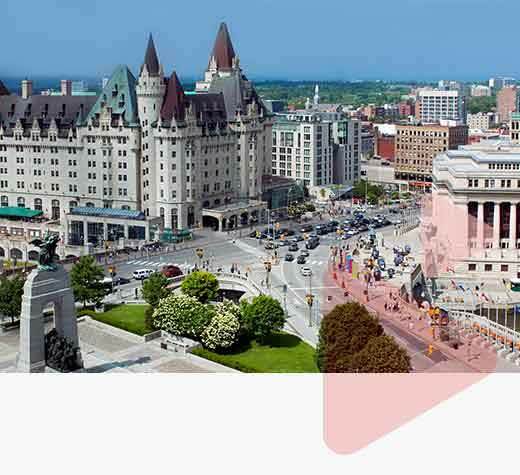 The Capital Is The 4th Largest City : The capital and fourth largest city in Canada, Ottawa has a population of 883,911 within the city and 1.2 million in its metropolitan area. Ottawa Residents Are Young And Smart : Nearly half of Ottawa residents are under 35, making it one of Canada's youngest cities. It also ranks as Canada's most educated city, and has the most scientists, engineers and PhDs per capita. Canada's Best Community To Live In : Mercer, a human resource consulting company, ranks it second in quality of living among large cities in the Americas, and 14th in the world. It is ranked the second cleanest city in Canada and third in the world. In 2012, MoneySense magazine ranked it as Canada's best community to live in for a third consecutive year. 5,400 kms Of Roads : Ottawa's main freeways include Highway 417 (known as The Queensway) running through the middle of the city; Highway 174 to Orleans and beyond; and Highway 416 connecting Ottawa to Highway 401. It has 5,400 kms of roadways, 1,580 km of sidewalks, and 60 km of Transitway. Busy Intersections : Among the top 10 signalized intersection collision locations in Ottawa, Hunt Club Road and Riverside Drive topped the list in 2011 at 53 collisions, followed by Belfast and St. Laurent at 32 and Baseline and Woodroffe at 31. The remaining top Ottawa locations varied from 28-30 annual collisions. 15,295 Accidents : While there were no fatalities at any of the 349 intersection accidents in Ottawa, there were 25 deaths - 9 drivers, 7 passengers, 1 motorcycle driver, 1 cyclist and 7 pedestrians - among the total of 15,295 reported accidents within it's city limits in 2011. Road Safety Is Improving : According to the Ottawa Police 2014 Annual Report, criminal code traffic offenses are down by 66%, traffic notice offenses are down by 14.6%, and fatalities are down by 7.4%. Like any other city in Ontario, Ottawa offers a unique driving experience. With a combination of driving in residential areas, busy intersections, and along major highways, drivers need to stay alert at all times. Watch out for wildlife : When driving on the outskirts of the city or one lane highways, watch out for deer and other wildlife. It’s estimated there are more than 1000 collisions with wildlife annually. Use winter tires : Make sure to invest in a high quality set of winter tires. Slow down : Be careful of snowbanks and slick road conditions during the winter months. Watch out for tourists : Watch out for tourists – drivers and pedestrians. There are lots of them, especially near popular tourist attractions. Drive safe at intersections : Be careful at intersections, a common location for accidents in the city. How Do These Facts Impact Ottawa Car Insurance Rates? 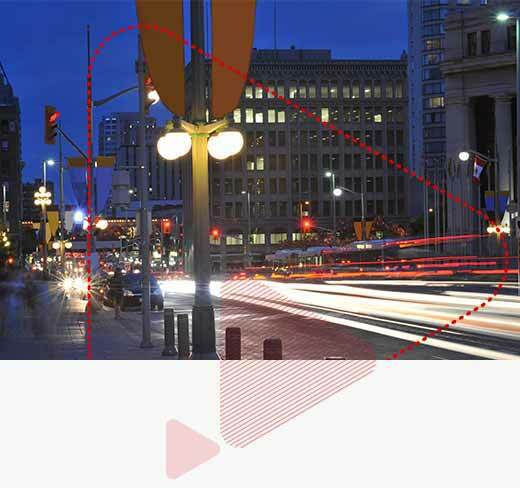 These stats and facts help reveal a vibrant and desirable Ottawa that is not without the traffic and accident issues all cities face. Yes, a great deal of driving occurs, which can lead to car accidents - including multi-vehicle accidents. Plus, there's traffic tickets, road conditions, insurance fraud and theft, and high population density that all play a role in how car insurance companies determine your rates. They all relate to the number of vehicles and drivers in Ottawa. A wide range of factors, all weighted differently, contribute to insurance companies determining different quotes based on calculations they use to set their rates. Is Car Insurance Mandatory In Ottawa? Yes. All drivers are required to have car insurance in Ontario in order to legally drive. Can I Get Ottawa Car Insurance Quotes Online? Yes. You can get an auto insurance quote anytime on our website. It only takes a few minutes to compare quotes and explore cost saving options. Even With Rates Increasing, Can I Still Get Cheap Auto Insurance Ottawa, Ontario? Absolutely! Even with insurance rates on the rise, you can still get cheap auto insurance in Ottawa. They key is to compare insurance rates and coverage annually. Rate increases can happen multiple times per year. Failure to get a quote could cause your rates to increase without exploring your other coverage options. How Can I Get Auto Insurance in Ottawa Cheap? We all want to get cheaper car insurance. Getting cheap auto insurance in Ottawa is possible when you compare quotes annually. Use renewal time to your advantage and compare quotes. How Does ThinkInsure Offer The Best Cheap Car Insurance In Ottawa? We’re a leading insurer in the Ottawa region because we’ve partnered with the top insurance providers in the province. This allows us to compare quotes from more than 40 insurers, giving you more and cheaper car insurance options. Can I Get High Risk Car Insurance In Ottawa? Yes. At ThinkInsure, we offer high risk insurance coverage to drivers in Ottawa. Whether you’ve been in an at fault accident, had a lapse in coverage, or have a few tickets on your record, we can still help you get coverage. What Is The Cheapest Car Insurance Company In Ottawa? It depends. The cheapest car insurance company will depend on your auto insurance needs, the type of policy you need, your driving history and many other factors. The best way to find out the cheapest car insurance company is to compare quotes. Can I Get Home and Auto Insurance in Ottawa? Yes. You can get both home and auto insurance coverage with ThinkInsure. When you bundle coverage you’ll automatically qualify for an insurance discount. Car Insurance in Ottawa Vs Toronto – How Do Costs Compare? 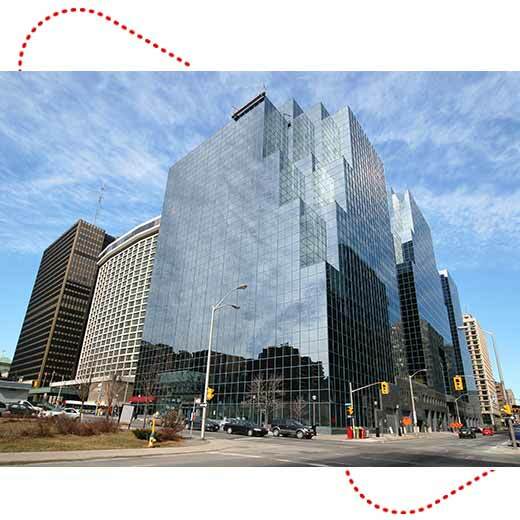 Even though Ottawa is a large city, it does not have the big city insurance costs. Car insurance in Ottawa is significantly cheaper than in Toronto. Ottawa drivers, on average, pay hundreds of dollars less per year on auto insurance premiums. How Do I Get The Best Car Insurance In Ottawa? Getting the best car insurance in Ottawa can be achieved when you understand your insurance needs, work with us, and regularly compare quotes. This ensures you have the coverage you need at the cheapest rates. Does ThinkInsure Offer Commercial Car Insurance In Ottawa? Yes. We can help you with all your driving needs. We can get your coverage for business vehicles, commercial vehicles, and more. Does ThinkInsure Offer Classic Car Insurance in Ottawa? You bet! We can help you insure your classic ride. When Should I Get An Ottawa Car Insurance Estimate? Getting regular auto insurance estimates is important to save on insurance rates. It’s recommended you get a car insurance estimate each time your policy is up for renewal. It’s also a good idea to compare quotes anytime something changes with your driving situation. Do Ottawa Car Insurance Prices Change? Yes. Car insurance prices in Ottawa change frequently. This is why it’s important to get a car insurance quote and compare rates each time your policy is up for renewal – to capitalize on the lowest rates available. 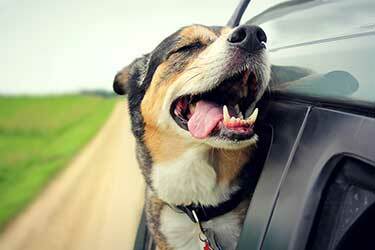 Here are some of our most popular auto insurance and driving articles. We are licensed Alberta and Ontario auto insurance professionals. So if you are an Alberta or Ontario driver we can get you coverage. Since we work with so many insurance companies you'll be able to compare multiple quotes for your region and get the lowest rate. Compare auto insurance quotes online OR call toll-free 1-855-550-5515 and start saving on your Ottawa auto insurance! "I called Thinkinsure in a panic as my insurance was expiring with another company and I was referred to Thinkinsure. They got me setup with a policy the next day at a better rate!" "They are very professional and do their best to help. They got me a better rate and the process was very easy." "I use Thinkinsure for all my vehicles and toys. They are very great to deal with and give me great service when I need it!" "Easy to buy, easy to renew. A great all around experience. " "I just started using Thinkinsure for my new car. They got me a great rate and the process was very quick and easy."